Just a little update to let you know this is still being worked on. I was contacted by a few fans who were concerned this had been cancelled due to how silent we have been. It is not cancelled! The plot is 100% finished (it's nearly 50 pages, and when the game is completed it should rival Chrono Trigger at 20-30 hours); the script is a work in progress. All of the weapon, armor, and accessory stats are built and ready for implementation into the game engine. We've finally upgraded all the sprites for the upgraded engine. Currently we are working on the game maps. We also have three wonderful musicians who have composed a soundtrack that currently sits at approximately 30 new tracks, many of which (in my personal opinion) rival Chrono Trigger's. If we have any serious, dedicated mappers we'd love to have you aboard to help speed along production. We would have to see an example map to see what you're capable of, and we're not really willing to just have anyone aboard at this point. If you're an interested spriter/mapper and can demonstrate your ability, feel free to shoot myself or Bekkler a PM and we can discuss our options. Also the old demo from 2011 has been re-added and now can be downloaded!!!! :) (note: this is the OLD demo, nothing new has been added). I've decided in light of the delays and my lack of available time, that I cannot continue as sole director of the project. As of this day, Boo The Gentleman Caller and I will be Co-Directors and Co-Writers. What this means for the story, resources, etc. is almost nothing. Boo has been a huge part of shaping this game from the beginning and while he shares my predicament (lack of time) he also shares my passion for the story and if we're working together at least someone will always be in charge making sure things get done and stored properly no matter who's around. What this means for the team is that with some of the load off my shoulders, I can focus on building more content; and with more authority over the project, Boo can start delegating tasks better than I was doing previously. Regardless, we both intend to be more involved with the project until its completion from now on. There may be road bumps or stretches of time where one of us is busy but all of us together will keep chugging along. We are once again calling for all mappers who might like to take part in the project. If you can make a map, and want to have credit in the game, let us know! We can't pay, because as always this game is free, but there are story benefits and good fun to be had. Don't hesitate to contact us. The page "The Day Dream Team" has been updated. Well, the news is out. We're changing our engine to RPG Maker XP. To help out during the transition and forward, the team has acquired a new member, the brilliant MagusMage! He's helping us out with customizing scripts and some system programming, and maybe even with a minigame or two. 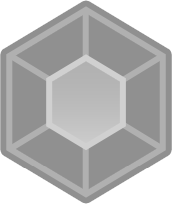 The team is still looking for a dedicated mapper to help development move along a little quicker. We have three new members to the team, TheEluryahn, Tuberz McGee, and Jormungand, and they will be working on original music. That's right, original music! We are currently looking for one more spriter and one more mapper, if you are interested, comment on this message or skip a step and go to www.verve-fanworks.com/SMF/ and post examples of your most CT-like work. Examples can be screengrabs or explorable maps or whatever you feel shows the talent that lies within! More people have joined the team, welcome Tushantin, Thought, and Alfador! Tushantin will be doing more art along side Lady Marle's. Specifically, he'll be providing scenario illustrations that will be used in-game (and in the planned 'Players Guide' I'm putting together when the game's done). Thought will be with me and Boo on the writing side for pickups and quality control. Alfador is on the writing team as well doing occasional revisions and spelling/grammar control. We're getting work done on the game very quickly, and I want to thank all of you who have downloaded the demo, that number is getting pretty big, and it's not even counting the downloads directly from the megaupload link, that's just downloads through rmn, so wow! That's frankly amazing. Youtube user Lorax1995 has begun making a series of Let's Play videos for the demo, they're very well researched and pretty funny, but before visiting, know that he uses some coarse language, so if that's not your thing you've been warned. All in good fun! We should have more screenshots and official art up very soon. Check the Chrono Compendium for the download link! 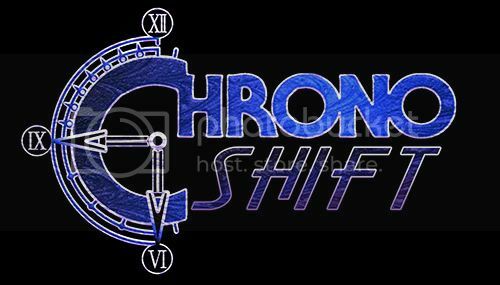 The goal for the Chrono Shift demo release is March 19th, exactly 1 week before the demo for Prelude to a Dream. The demo won't be very long, but I feel quality is more important than quantity, and this will give you a big, rich mouthful of the Chrono flavor we have to offer. It will include the game's introduction, and one dungeon, but things will get a little different to wrap up the demo, plot-wise, toward the end. I hope you're ready for this! Because I'm excited!